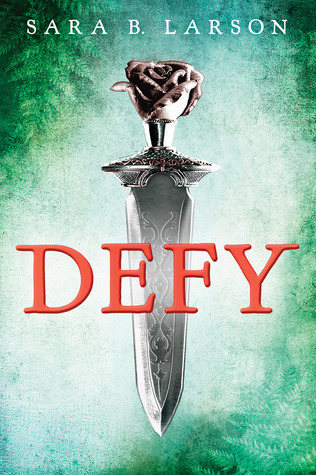 This week's teaser is from Defy by Sara B. Larson. I'm really excited for this book because it reminds me, for whatever reason (I really don't know why) of Inhuman by Kat Falls which I'm absolutely in love with, even though this one's high fantasy. The synopsis just pulled me in. I can't wait to start it, especially after these opening lines!